We wich you a Merry Christmas and a Happy New Year. 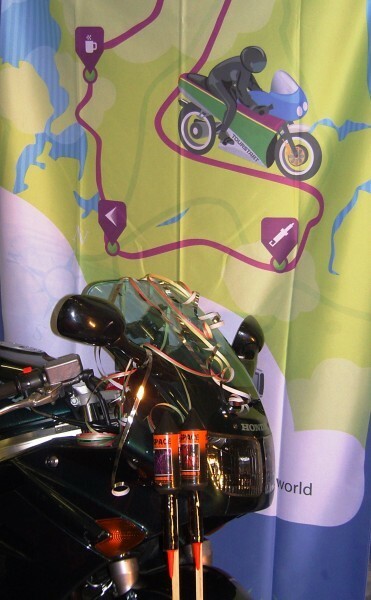 We hope that 2014 will become a great year for rides and adventures on your motorcycle. Christmas and New Year is a good time to summarize on the past year and give a bit info what to expect in 2014. Currently we are working hard to develop off-line maps for the iPhone app. This means, that you will be able to download the maps on your iPhone, so you are not dependent on an internet connection, as with our current app. It is our expectations to release this during the summer 2014. In 2013 Tourstart got member number 6 000. Tourstart members are from the entire world. Thanks for all of you who are using Tourstart. In this connection, I will kindly ask you a favor. I will be very happy if you will recommend Tourstart web or app to at least one of your friends.This will mean a lot to us, if each and everyone will get at least one friend to sign up. As you know, Tourstart is free of charge. However, this do not mean that we do not have any expenses. We need a more stable financial situation in 2014, so we can continue to offer a good web page with free functions. One of the steps we take towards this in 2014 is the introduction of more adverts, and as our iPhone users have noticed, we charge for using the navigation. Our last TourNews was about our new design - so not much more to say, except many thanks for our you being patient with us when fixing bugs, and also thanks a lot for all the positive comments and responces. May 2014 be a fantastic year with many good rides.